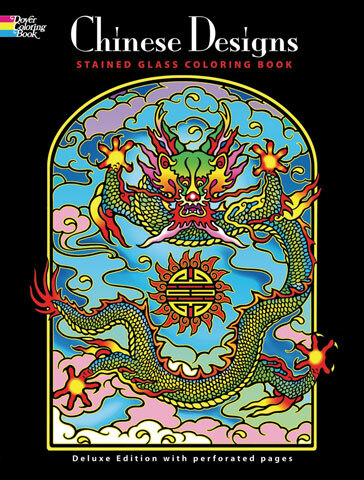 This jumbo-sized stained glass coloring book pays tribute to the delicate lines, harmonious composition, and enduring beauty of Chinese artwork. From dainty butterflies to bold dragons, it offers 48 gorgeous images to color. Traditional motifs from Chinese art and culture include dainty blossoms, realistic and fanciful animals, and an array of kite designs.